Every pet owner is looking to provide the best and safest food and toys to their pet. With concerns about the safety of imported goods, and as we look to strengthen our economy and keep money in within the border, we look to Made-In-The-USA products to fill those needs. These are some exciting new products that are Made In The USA. All of them are creative ways to stimulate and improve the life of our pets. If you haven’t had a chance to read an earlier post about buying American, please take a minute to do so now. It outlines some of the reasons why it is the first choice we should be making when looking to purchase anything for our home. Some of the links below will take you to the product pages on Amazon where you can easily complete your purchase. Most of the products feature free shipping for Amazon Prime members. These are affiliate links which means we receive a small percent of the purchase to help cover the cost of operating this blog. The price you pay is the same whether you use the links here, or go buy directly through Amazon. Clicking on the company name will bring you to the corresponding company page. Loving Pets make a canine dental treat, branded as Ora-Bone, features both breath-freshening ingredients, and textured surfaces to clean all areas of your dogs mouth. They are proudly manufactured in their American facility. Dogs Love Snapeas (from the makers of Dogs Love Kale) are award-winning, limited-ingredient treats made with no animal by-products. The three current varieties are Peas & Cheese, Peas & Chicken, and Peas & Beef. Check out their fun Facebook page too! The folks at Emerald Pet make their products in the USA from American ingredients. They have a full line of chews and toys, as well as Snug n’ Tug ultra tough toys. The From Family operates all three of their facilites in Wisconsin from which they manufacture and test all their products. Their four lines cater to all stages of growth and diets. Customers rave about the high quality how even picky eaters will like this food. One of their innovative products is Four-Star Parmesan Cheese treats. They are grain free and come in a resealable bag. Their Four-Star products come in a wide variety of dried, canned, and treat formats. Chicken with Peas and Carrots, Lamb and Cranberry, and Salmon with Sweet Potato, are just a few of the creative recipes they have formulated! Be sure to check out the quality and durability of all these American-made products. This entry was posted in advocacy, nutrition, safety, shopping on August 11, 2018 by dexterkelly. After a combined 12 years of service at Regions Hospital and more than 700 hours of volunteering, 12-year-old Daisy, a golden retriever, and 11-year-old Stella, an Afghan hound, are taking time to unwind. The eight-month-old mini Goldendoodle is the Baltimore Police Department’s first therapy dog and will be on call to comfort officers and supervisors, police announced Tuesday. TheBark …interacting with dogs may help these kids by heightening their arousal and emotional states and leading to increased attention and interest in the environment in which therapy takes place. The goal of the new pet therapy program is to provide Nanticoke’s employees, patients and visitors interaction with trained, tested and certified handler and dog teams, promoting positive mental health and reduce the effects of stress in a medical environment. The Enclave, a senior rehab and living facility just partnered with the therapy dog and his handler to bring the residents some extra sunshine. This entry was posted in advocacy, videos on August 8, 2018 by dexterkelly. With so much publicity around the announcement from the Publix grocery chain that dogs – of any kinds or purpose – are not allowed in their shopping carts, and the policy change by American Airlines about which support animals are allowed on flights, it reminded me of this article from Animal Planet about what animals are covered under the Americans With Disabilities Act. The Act dictates that dogs (and not miniature horses) that otherwise wouldn’t be permitted in areas, are allowed if they perform a specific task to assist their owner. Notably the act does not extend the same protections to Emotional Support, or Therapy Dogs. The latter two groups may be allowed based on statues passed by individual states, or by individual businesses, but they are not Federally mandated to do so. It is important to protect access to public spaces to everyone, provided there is a balance that the accommodation to one party doesn’t adversely impede the access others are permitted. For example, an emotional support dog being allowed in a bookstore should be okay provided that the dog is performing its duties, and is not running around, causing problems or being noisy and negatively impacting the enjoyment of the bookstore for other patrons. In the case of a mis-behaving therapy or emotional support dog, the manager would be within their purview to ask the person to leave. For example, read this interesting article from The Washington Post: Dogs In Grocery Stores: Therapy For Some, Annoyance For Others. It is important to note that this access is provided as a courtesy by the manager rather than out of an obligation to adhere to the ADA. The most important part of dog ownership, whether working or pet, is personal responsibility. Ensuring that when out in public, that your dog is well-behaved. Check out the 5 Essential Commands from Caesar Millan. This is a list of 33 dog friendly stores, compiled by BarkPost, where our canine friends are welcome! There are lots of super-cute pictures of dogs out shopping! Remember, cars get hot when they are in the sun, so, if you can’t bring your dog into a store, its probably best to leave them at home! This entry was posted in advocacy, safety on August 8, 2018 by dexterkelly. On the August 3rd, 2017 episode of The View, rescue dogs from the BARC Shelter in Brooklyn were the stars, along regular co-hosts Whoopi Goldberg, Sunny Hostin, Joy Behar, Sarah Haines, and Jedediah Bilah. Bill Smith of BARC introduced several adoptable pups of an assorted mix of breeds that would be suitable for all kinds of families. Check out the website for The View to see all of the dogs featured on the episode. Bill Smith from BARC Shelter showing Whoopie Goldberg an adoptable dog; Teenie. The View has long been an advocate for rescue dogs. They feature an annual episode “Mutt Show” also featuring dogs available for adoption from shelters across the U.S.
Jill Rappaport, a long-time animal activist, has made several appearances on the show. She highlights dogs and is an advocate for adption; hosting her own NBC Special “Best In Shelter“. This entry was posted in advocacy, entertainment, rescue on August 4, 2017 by dexterkelly. As Dexter finished the last portion of another bag of dog food, I wondered if these bags could be recycled? Grocery stores have receptacles for previously used, but clean, grocery bags, and our county runs curbside blue bin collection, but neither of these places takes pet food bags. That got me curious, what are pet food bags made from? According to the Purina How To Recycle website, the ProPlan bags that contain Dexter’s food are made from woven #5 polypropylene plastic. 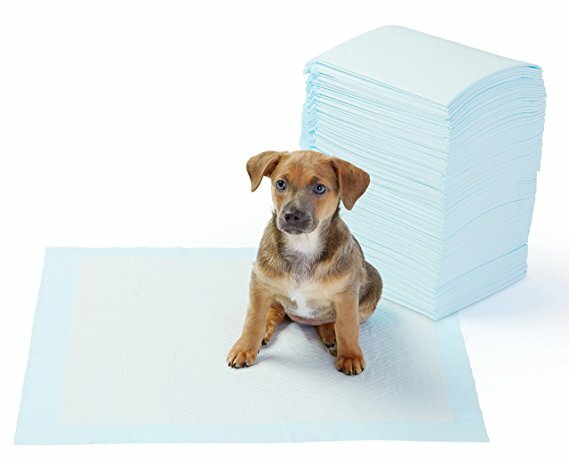 Reading further into the site, there are a number of other types of packaging used to manufacture pet food bags; non-woven plastic (“#7 mixed materials”), lined paper (the ones with a thin coating of plastic on the inside), and unlined paper (similar to a paper lunch bag). Sadly, the lined paper bags must go to trash because they cannot be broken down in to their source components easily. Clean, unlined pet food bags can go into your curbside blue bin with newspapers and other paper. The most rare types of plastic accepted in curbside programs are non-rigid #5 and #7 plastics. Surely something can be done about all the waste created from these empty bags! There are a few resources online which give step-by-step instructions for creating stylish tote bags, and purses, but one can only use so many totes and purses. Perhaps you could consider starting an Etsy store to sell them. For those of us who are less crafty, what alternatives do we have? Wellness Pet Food has partnered with TerraCycle to offer a free-to-consumer recycling program where you can bundle empty bags and TerraCycle will shred and melt the plastic which can be reformed into new products. That is the ultimate goal I am trying to achieve; put my plastic back into the cycle and prevent the need to use raw materials. Kudos to Wellness Pet Food, but they won’t accept my Purina bags. So whats next? Doing more research into #5 woven polypropylene (PP), I found that large shipping bags (FIBC – Flexible Intermediate Bulk Containers) are made from the same material. There are just a handful of FIBC recycling companies across the United States, and they don’t typically accept small shipments of a small number of items – they cater mainly to food processors, farms, and shipping companies who process hundreds at a time. The process of recycling FIBC bags mirrors that of TerraCycle; bags are shredded, melted down and reformed into chips or pellets that can be reused into new plastic products. Typically, these pellets are used to create beautiful outdoor furniture for consumers or use in public parks. So where does that leave me? Literally holding the bag. Maybe I can mail it to an Etsy crafter, or use it in place of a tarp to protect the trunk of my vehicle, but since my curbside program doesn’t accept it, and I wasn’t able to find a place online; it seems that while they are “recyclable” in principal, they aren’t recyclable in reality. Please let me know in the comments if you have found a way to recycle these. Interestingly enough, during my research I found this company called Preserve that will take rigid plastic #5 containers, such as those for yogurt, hummus, and margarine spreads and turn them into toothbrush handles, and lunchbags. This entry was posted in advocacy, nutrition, shopping on July 15, 2017 by dexterkelly. Each year as the weather gets nicer and more people are taking their dogs with them on errands, we are reminded that did should not be left in vehicles as they can easily overheat and suffer physically and sometimes fatally. Vehicles can reach dangerous interior temperatures even after a very short period of time. Clearly, it is never they intent of a dog owner to injure it kill their pet, but accidents do happen. Several grocery chains, including Wegmans, post signs reminding customers to leave their dogs at home. According to the American Humane Association, even with an outside temperature of 70-degrees, the inside of a vehicle can climb to 90-degrees in just ten minutes! Prevention is the first step. Please leave your dog at home if it will be dangerous to leave them in your car if you are going somewhere dogs are not welcome. Awareness is key to getting the message out. Share an infographic on your social media, order a brochure to share with friends or family. Action may be needed if you encounter an animal in a dangerous situation. Remember, not all areas have protections in place for people forcefully removing an animal from danger. The Humane Society Of The United States has this guideline: Get the identifying information for the vehicle and have the owner paged, call the local non-emergency police number and wait for them to arrive. This entry was posted in advocacy, safety on July 4, 2017 by dexterkelly.